...right this minute. you gorgeous dress you. 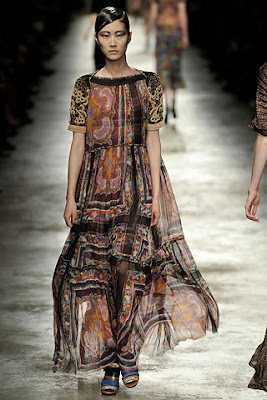 I freaking love love love this Dries collection. This and Fall 2009 with the Francis Bacon colours, but man, I want more Orbis prints. At the time I got this shirt it was the most I'd ever spent on a single piece of clothing... until it was surpassed by a bit of Alexander McQueen, eeps!